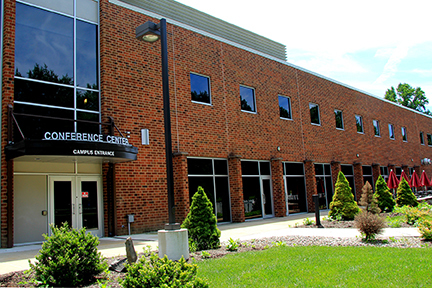 The Conference Center at Mercer County Community College will host a variety of professional development and personal interest courses for spring 2017. WEST WINDSOR – Mercer County Community College’s (MCCC) Center for Continuing Studies (CCS) will offer two free events in January to assist individuals looking to enhance their job skills or explore a new career path. CCS will host an open house on Thursday, Jan. 12 at 6:30 p.m. in the Conference Center at Mercer, 1200 Old Trenton Road, West Windsor, for those interested in exploring career options in healthcare, high-tech fields, and other areas. Register by calling (609) 570-3311. Attendees who pre-register will be entered into a drawing for door prizes at the conclusion of the event. This spring, CCS will introduce a series of new courses designed to help individuals increase personal and professional productivity, including Time Management; Becoming the Ideal Leader; Leverage LinkedIn to Showcase Your Professional Expertise; Strategies for Developing Effective Presentation Skills; and Creating Your Mission Statement, among others. In addition, Customer Service, Principles of Professional Selling, and Community Association Manager programs have been added to CCS’s offerings. CCS will also offer a free Smart Start class Jan. 17 through Feb. 1, Tuesday through Friday, from 9 a.m. to 3 p.m. at MCCC’s James Kerney Campus, Room 409, 102 North Broad Street in Trenton. The class is designed for individuals who are considering a career in the healthcare industry, providing instruction in math, medical terminology, and learning skills unique to healthcare professions. Those interested in participating should contact Andrea Bash at (609) 570-3122, or e-mail basha@mccc.edu. For more information on these and the full range of professional and personal interest courses offered through MCCC’s Center for Continuing Studies, visit www.mccc.edu/ccs, e-mail to ComEd@mccc.edu, or call (609) 570-3311. In addition to on-site courses, hundreds of online offerings are available through a partnership with Ed2go.com.